and experience all that NIM has to offer. You will receive an email containing download & install instructions, NIM account login credentials and your license file. For the FREE 30-Day trial, the NIM Client Portal will require internet access to authenticate the trial license. If the server you plan to run the NIM Client Portal on does not have internet access, let us know – we can provide you with the authenticated license file directly via email. You’ll also be added to our newsletter for useful NIM updates. 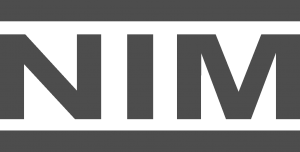 The NIM trial offers plenty of flexibility – our licensing scheme counts the total number of “enabled” users accessing NIM, so you can create accounts for all of your studio contributors and only enable the active users when they need access. There is no distinction between user types and the license file is not tied to an individual user. Have any questions? We’re here to help throughout your trial period – just get in touch with the team or check out our support page.